At Chemspace, we aim to provide our users with a number of tools and services to simplify the compound selection process. These include fast online similarity and substructure search, compound sets, and custom library preparation, - to name a few. Framework-derived set is another approach to surf the Chemspace database. The set comprises over 6 million screening compounds that belong to one of 72,000 selected diverse Bemis-Murcko frameworks. At least 20 compounds share the same frameworks. 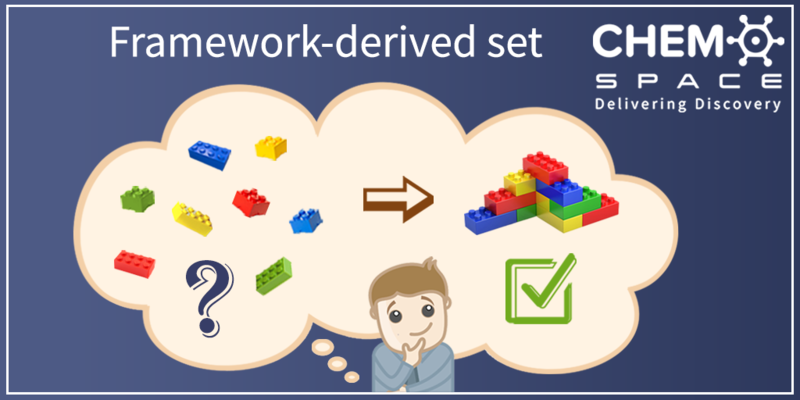 You can download the frameworks in SMILES format here http://files.chem-space.com/Jul2018/Jul2018_CS_framework_derived_set_frameworks_72K_SMILES.zip.